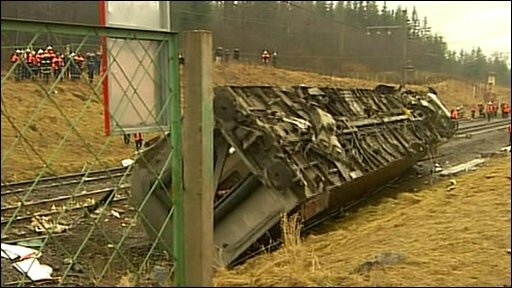 A bomb blast caused the derailment of a Russian express train, killing at least 26 people, intelligence officials say. The Nevsky Express derailed in remote countryside on Friday night as the train travelled between the capital Moscow and St Petersburg. Investigators found "elements of an explosive device" at the scene, the Russia's federal investigative committee said in a statement, as Richard Galpin reports.